8 December 2018 | GENEVA/DAVOS: Today with the generous support of the Davos-based AO Foundation, WHO launches the Global Emergency and Trauma Care Initiative. Around the world acutely ill and injured people die every day due to a lack of timely emergency care. Among them are children and adults with injuries and infections, heart attacks and strokes, asthma and acute complications of pregnancy. Many countries have no emergency access telephone number to call for an ambulance or no trained ambulance staff. Many hospitals lack dedicated emergency units and have few providers trained in the recognition and management of emergency conditions. These gaps result in millions of avoidable deaths every year. In an initial phase WHO and partners will support 10 low- and middle-income countries to assess their national emergency care systems, identify any shortcomings and implement proven interventions to address these gaps. Activities at the national level include: development of national plans and key policies, such as laws addressing the role of bystanders and access to care without regard to ability to pay; and implementation of WHO standards addressing the way emergency care systems are organized and resourced. WHO and partners will also facilitate low-cost improvements in the way that emergency care is delivered. These include implementing triage and WHO checklists that ensure a systematic approach to the care of every patient. In addition frontline providers will be trained through WHO-ICRC Basic Emergency Care and other courses. The initiative will support systematic data collection on acutely ill and injured people and how their conditions are managed, including via the WHO International Registry for Trauma and Emergency Care. The launch of this initiative is made possible through a CHF 10 million grant from the AO Foundation, which promotes excellence in patient care through a network of thousands of practitioners in 100 countries. 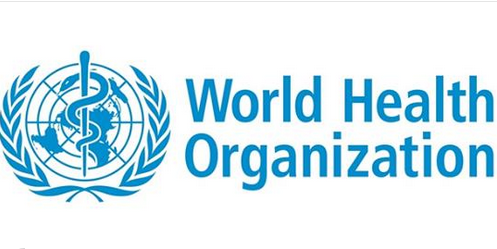 It is one of a number of partners poised to contribute to the WHO Global Emergency and Trauma Care Initiative, including others in the WHO Global Alliance for Care of the Injured. This work executes the mandate established by World Health Assembly resolution WHA 60.22 on emergency-care systems.